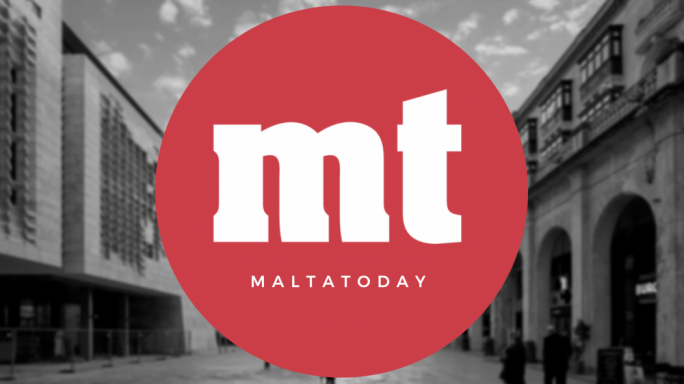 As a newspaper that has for several years called for the introduction of a Parliamentary Standards Commissioner, MaltaToday can only welcome the appointment of former MP George Hyzler to that role this week. The idea behind this committee is to create a code of conduct for MPs, as well as the appointment of a commissioner of standards who would investigate and make recommendations whenever an MP is in breach of the code of ethics. There can be no doubt that such an office was sorely needed. Not only have serious allegations undermined public confidence in elected officials, but the lack of an accepted code of conduct has over the years diluted the House’s actual ability to debate issues seriously. Perhaps the most urgent lacuna is the general lack of accountability that has dogged Malta’s political life over the years: and which became all too evident in the wake of the Panama papers revelations in 2016. Though the scandal has divided public opinion, there was nonetheless a widespread feeling that matters of grave importance were not being exposed to a proper level of scrutiny and oversight. There was (and still is) a palpable sensation that political impunity is on the increase… instead of gradually diminishing, as one would by rights expect. Unfortunately, this perception has arguably caused untold damage to Malta’s international reputation. Our lack of proper institutional checks and balances has even been debated in the European Parliament, and has been the subject of at least two EU-level investigations. From this perspective, the long-overdue constitution of a Parliamentary Standards Commission could not have come soon enough. And the choice of Commissioner is laudable: George Hyzler was nominated by Opposition leader Adrian Delia, accepted by the Prime Minister, and elected by unanimous approval in Parliament. (The standards commissioner requires at least a two-thirds majority approval). This expression of unanimity gives hope that the important work Hyzler must now undertake will not be undermined by political discord, as has all too often happened in the past. Moreover, the institution itself seems to have been given broad discretionary powers. Hyzler’s remit is not limited to MPs and ministers but also to people of trust in public office. This is important, as past experience shows that ‘persons of trust’ fall into a unique category that is seemingly unregulated at law – or at least, regulated by legislation that is flexible enough to be toothless in practice. Given the security of tenure he enjoys, Hyzler has at his disposition a role that can do much good. He is not shackled by past decisions because he will be the first one setting the bar. What remains to be seen is how high he will choose to set the bar. His own initial comments may have been somewhat vague – Hyzler promised that he would be taking orders from no one in fulfilling his role, and that: “I will be doing what I think is right.” But he also acknowledged that people’s expectations were high, and that his aim is to instil a culture whereby MPs are scrutinised by his office. These are admirable goals, but one would also expect the Commissioner to be more specific as to how he intends to fulfil his remit. For starters, Hyzler must ensure that income and asset declarations filed by MPs are thorough, correct and clear enough for all to see. These in turn should be mandatory (as opposed to voluntary, as has been the case to date) and bear the same weight as a sworn affidavit. Hyzler may also want to suggest the creation of a register of assets and income for people of trust. For too long now, this nebulous concept has been used to sidestep public appointment regulations, resulting in a network of hidden hands involved in some of government’s most sensitive departments. As with public procurement rules, from a logistical perspective it is understandable that such restrictions may, at times, be by-passed. But this cannot be allowed to become the norm; and such exceptions do not absolve the appointee from all the obligations of transparency that traditionally come with publicly-funded roles. The new Parliamentary Standards Commissioner may therefore wish to examine the current practices with a view to making them more transparent and open to scrutiny. As things stand, the only problematic aspect of this appointment is the timing. There is a bitter aftertaste, in that the Commissioner can only investigate cases that happened after 30 October 2018. The date conveniently avoids any investigation into the Panama Papers revelations, and anything linked to them. While it is understandable that a law comes with a cut-off date, one cannot but feel that government had its own reasons to take its time to set this law in motion. Asked what would he have done had the Panama Papers revelations taken place during his tenure, Hyzler said that he could not act on anything that happened before his appointment. “But had it happened now, it would be my job to investigate it,” Hyzler added. This alone illustrates the urgency with which this office was needed. One hopes that future scandals, at least, will be subjected to the scrutiny they deserve.